How can I help my loved ones cope with a relative’s wrongful death? ?How is Wrongful Death Money Distributed Among Family Members? ?How can I help my loved ones cope with a relative’s wrongful death? ?What type of compensation is available for wrongful death claims in Tennessee? The sudden loss of a family member is the most difficult thing a person will ever have to experience. Survivors often feel angry, overwhelmed, and even succumb to long periods of apathy or depression as they attempt to cope with the loss. 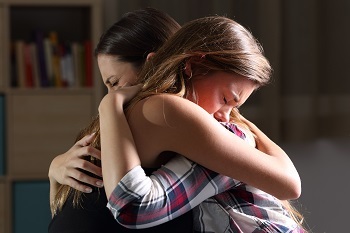 While there is no easy way to overcome the death of a relative, there are a few things that can be done to make the grieving process easier for all members of the family. Any death can cause upheaval for a family, but a death that happens suddenly does not allow survivors any time to prepare for the loss. Deaths can cause a number of changes for a family, including emotional suffering, financial problems, and uncertainty about the future. The shock of losing a loved one is often replaced by the shock of restructuring all aspects of life to fill the gaps left by the lost family member—gaps that can continue to exist long after the wrongful death occurs. Understand that it will take time. Survivors often have good days and bad days when it comes to coping with loss. If you have a bad day, it is important not to tear down all the work you have done throughout the process. Remember that it’s going to take a while before you feel “normal” again, and there’s no way to speed up that process. Put a support system in place. It is vital to establish strong ties to people you can trust and who can help you throughout the process. Although you may be a strong and proud person, there is no human being who can grieve all alone. You and the rest of your family may need help from parents, siblings, friends, teachers, or support groups to help you get through the grieving process. A support system reminds survivors that they are not alone and that others have made it through a similar experience, allowing them to share your burden. Set new routines and minimize triggers. Establishing a normal daily routine can help all members of the family get through loss by minimizing feelings of panic or frustration. If the deceased person used to make dinner, accept offers from friends and family to fill the gap until a permanent solution is found. Try to keep the schedules of the children’s activities (such as mealtimes, after-school activities, and bedtime) consistent. Get answers that will allow you closure. These deaths often involve negligence, and families are owed answers to all of their questions so they can move on with their lives. If the person who died was responsible for earning a large portion of the family income or died under suspicious circumstances, survivors should seek an attorney’s advice immediately. An experienced accident lawyer can determine what really happened leading up to the accident, and tell you whether you are owed compensation for wrongful death in Tennessee. Solitude. Children in a state of emotional shock may spend long periods without talking or prefer to be left alone. Regression. Toddlers and elementary school children may suddenly regress into old habits, such as bedwetting, refusing to leave a parent’s side, or demanding to be held. Acting out. A child may get into trouble at school, have outbursts of anger, or start fights with siblings to cope with feelings of helplessness. Apathy. Teenagers may express little or no emotion, get poor grades, or demonstrate a lack of feeling toward others. Parents often want to take their child’s burden on themselves, but this just isn’t possible during the grieving process. The best way to be a strong support for children is to be there when they need you. Encourage anything that helps the process, such as questions and quality time, and allow them to express their feelings of loss by saying they miss the person, or they wish that they were still here. Give them room to experience their feelings, check in with them regularly, and wait until they are ready to talk. If you and your children are suffering after the loss of a loved one, we can help. Contact our legal team today to schedule a free, no-obligation consultation.